I'm back from CHA as of last night. Had a fabulous time, and promise to share more photos in addition to the ones I've posted on Instagram and Facebook all weekend. Seeing the new products is great, of course, but it really is all about connecting with people that I enjoy the most. But more on that in the next day or so. Today it's all about laundry, grocery, and getting settled back in. 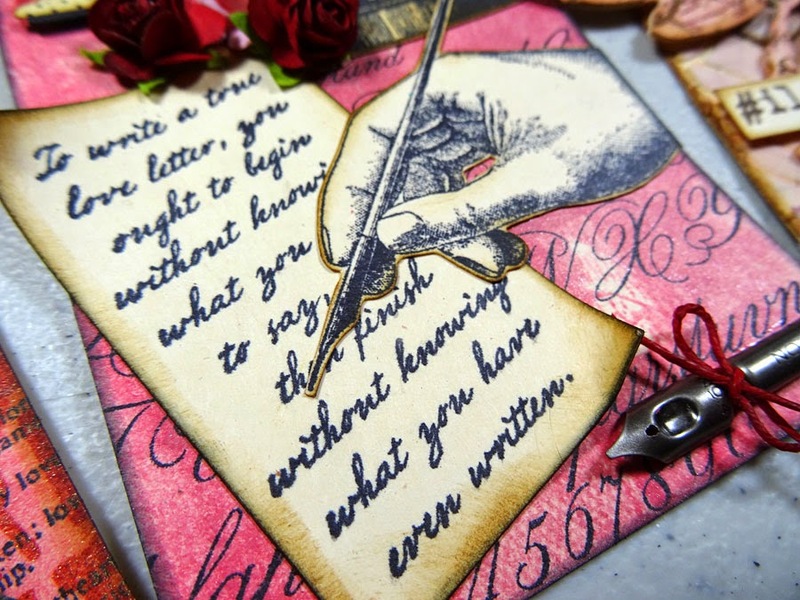 I realized that although I had promised to post my Valentine-themed tags on my blog, I ran out of time before I left for CHA so I'll share those with you today. 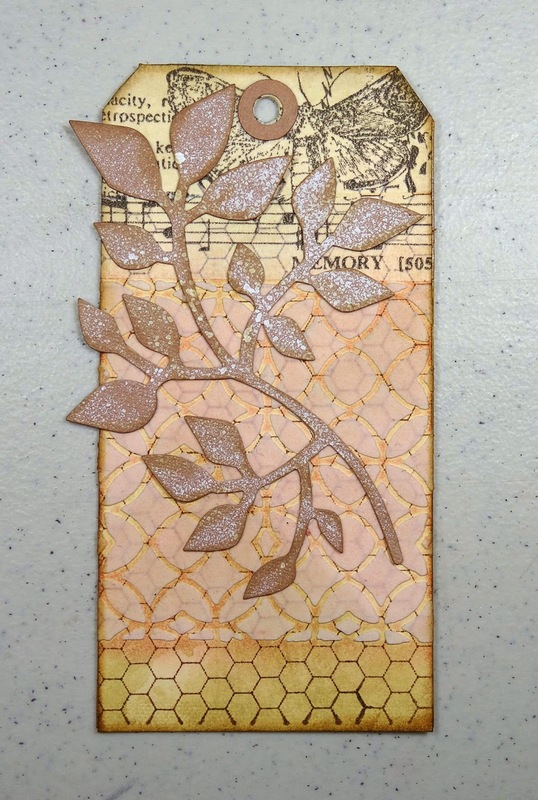 My Friday Follies group will be making these technique-filled tags this month. I'll share the basics here and save all the details for my class members. 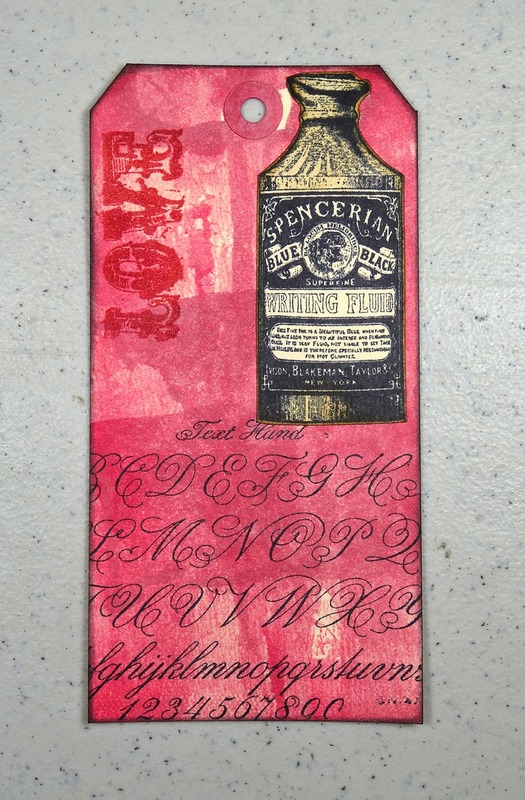 We'll be using Ranger's #8 size tags and lots of techniques from both Tim Holtz's Creative Chemistry online courses and Ranger University, which I attended back in 2012. Since I never got to use him during the holidays, I simply altered him so I can use him anytime of the year. 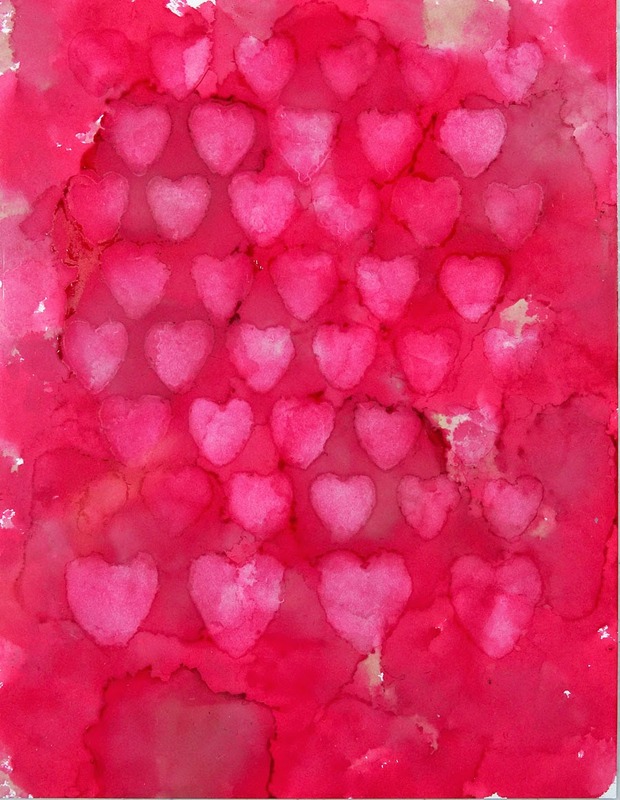 The base is layered with shades of pinks and reds (Worn Lipstick, Victorian Velvet, and Festive Berries Distress Ink), stencils and stamps and Perfect Pearls. Now he carries a heart box of candies for his true love. 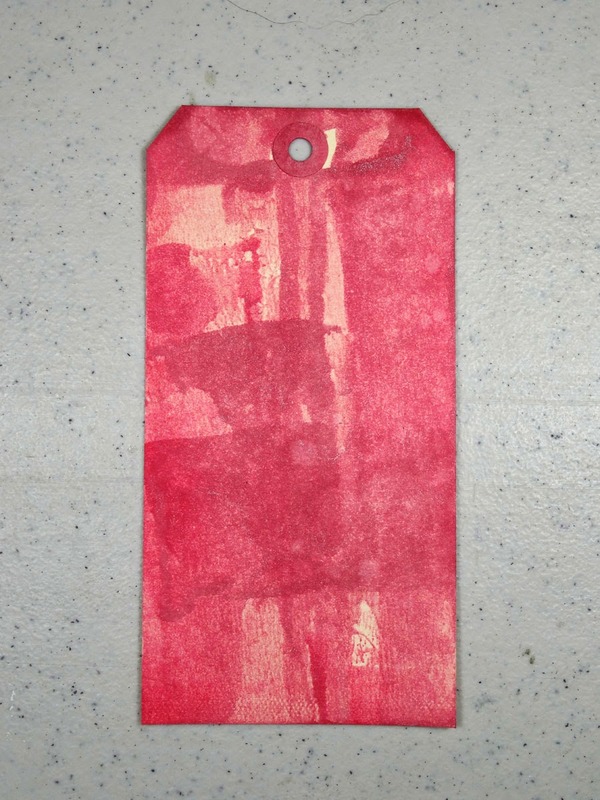 Tag #2's focus is "Distress Stain Brayering." The stains are mostly Victorian Velvet, then Festive Berries and a bit of Antique Bronze. 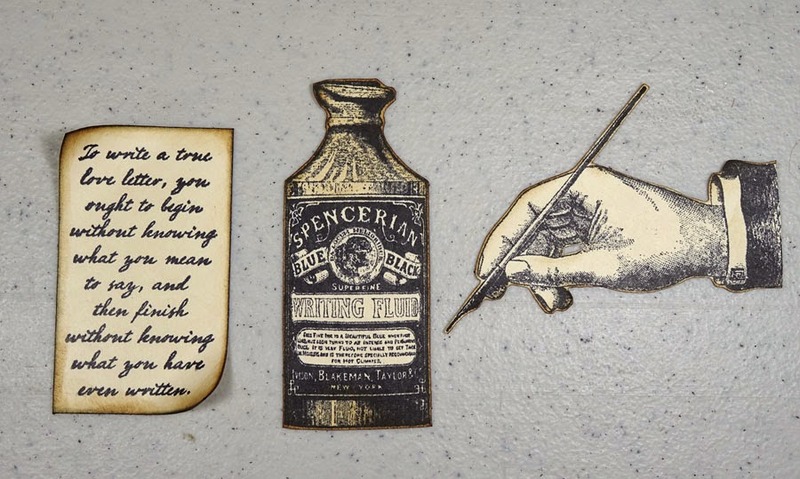 The images are stamped with Archival black onto Ranger's manila cardstock, then cut out closely and inked around the edges with Vintage Photo Distress Ink. 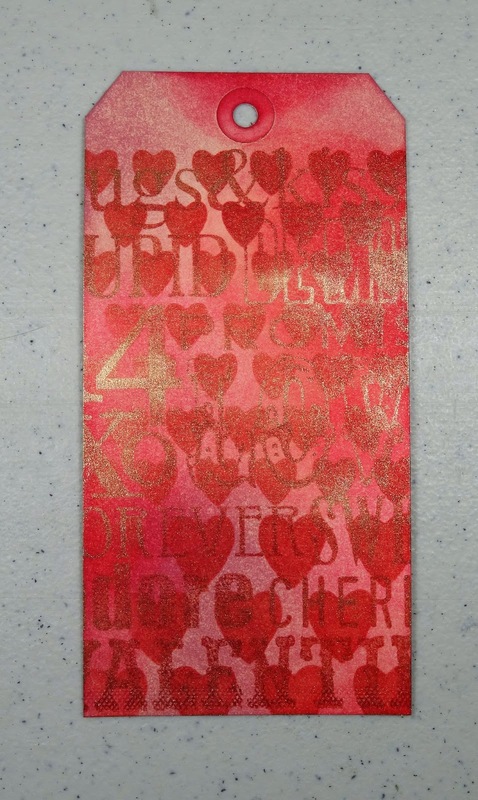 After more stamping on the tag, I began layering the stamped images. Even though the stamps come from different sets, they work together perfectly. Tag #3's focus is "Texture Paste Resist" (which I sort of made up) loosely based on some of Tim's resist techniques. 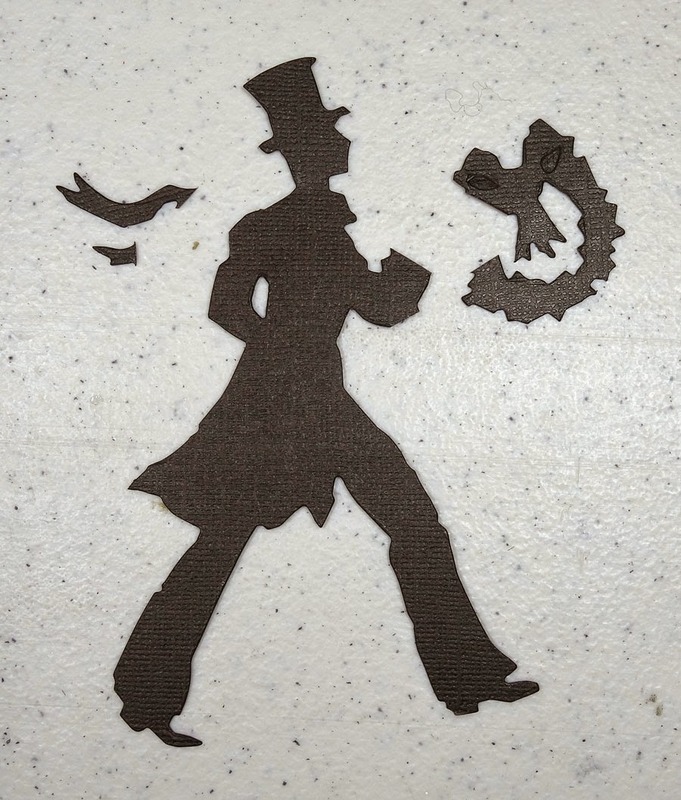 Here's a look at the base as I applied the texture paste through the stencil. 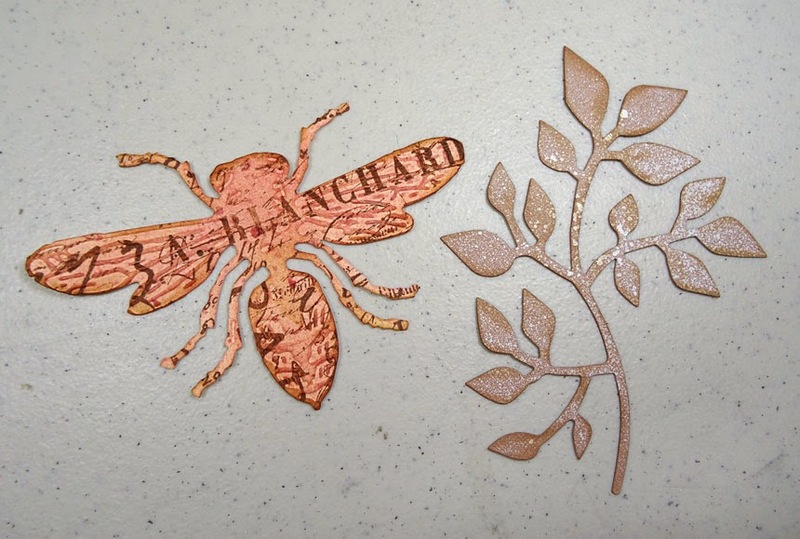 Die cuts with stamping, embossing (the bee) and spritzing (the leaves). 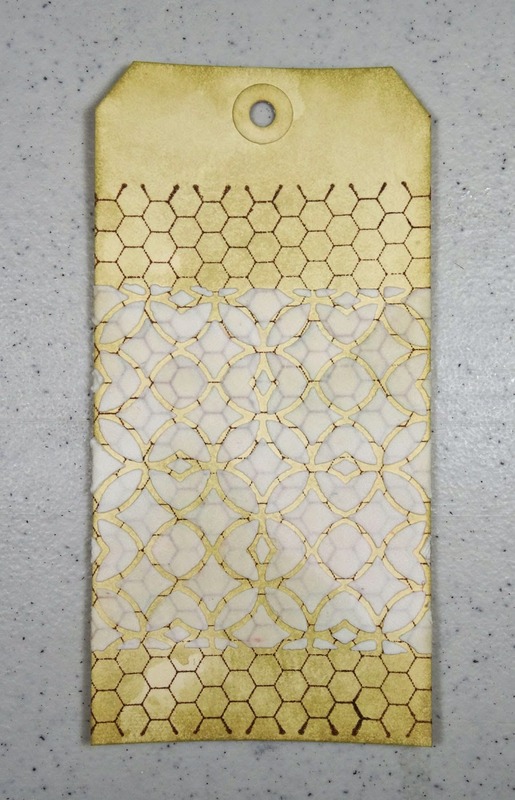 Layering tissue wrap and the leaf die plus coloring with Distress Inks starts to make things look more interesting. Popping up the bee with foam tape gives great dimension. Some final touches and this one is done. Tag #4's focus is "Faded Layers" which is one of my favorite techniques. It's subtle here. Can you tell where it is? First, the base is simply cut from a sheet of Seasonal Kraft Core, then sanded and inked with Black Soot. And here's the technique mentioned above. I like how this turned out so much, I now use this image as my iPhone's background screen. 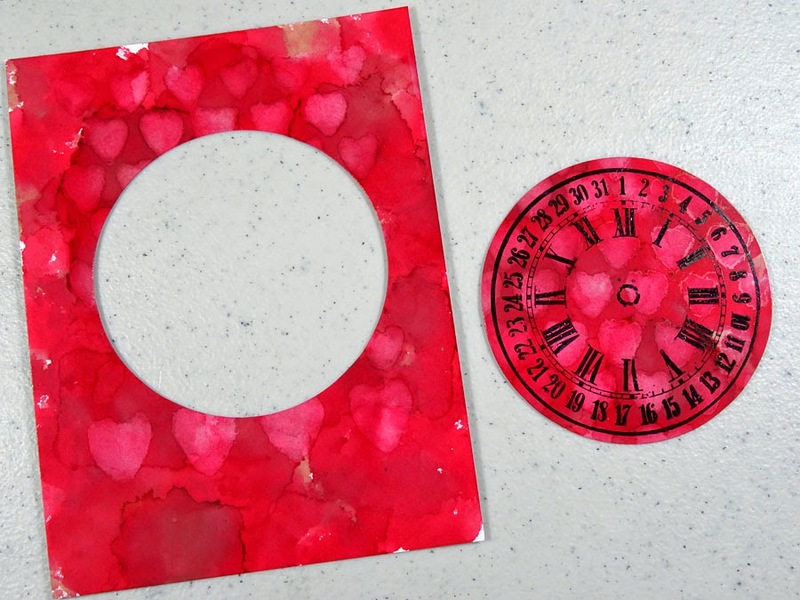 After stamping the clock, I used my Movers and Shapers circle die to cut it out. 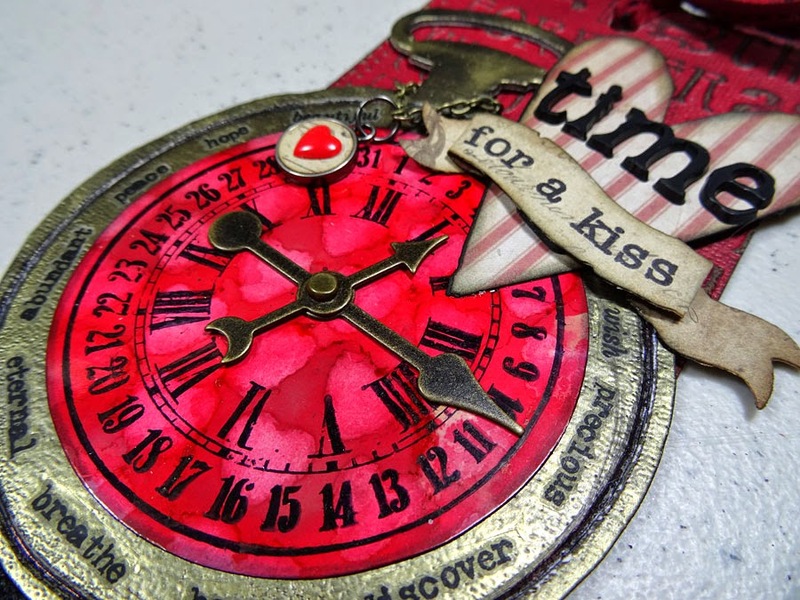 A grunge paper pocket watch embossed with gold and adorned with remnant rubs, added spinners and other embellishments. Done. The rest of the details are left for my class. I hope this has left you with a bit of inspiration. 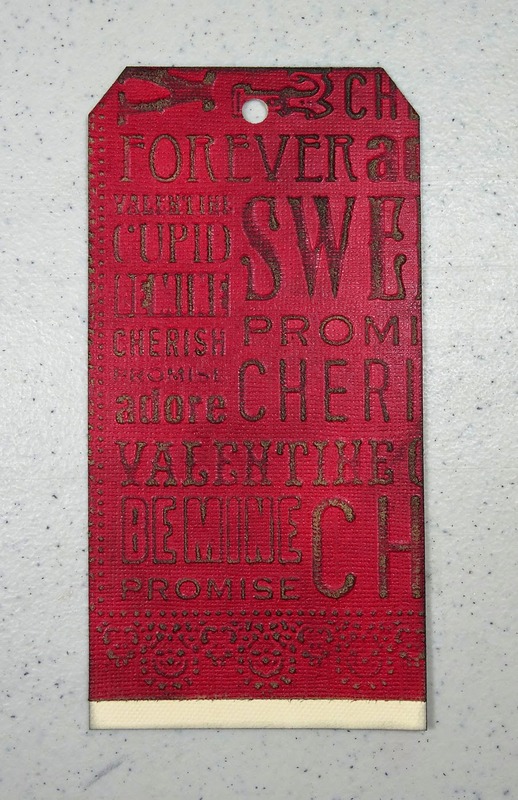 My tags will be fun to use on Valentine gifts, on card bases, or I might just make a seasonal banner with them. Who knows? Thanks for stopping in today. Would love to hear what you think. Thanks so much Shari! The ultimate compliment!! Fantastic collection of tags Annette! 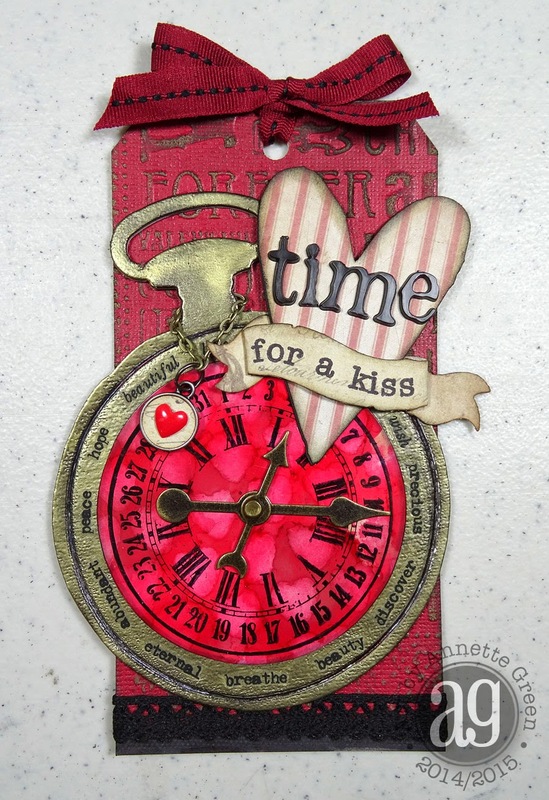 Love the inky backgrounds and all the die cut embellishments! Love all of your tags. Your Friday Follies gals will have so much fun creating these! 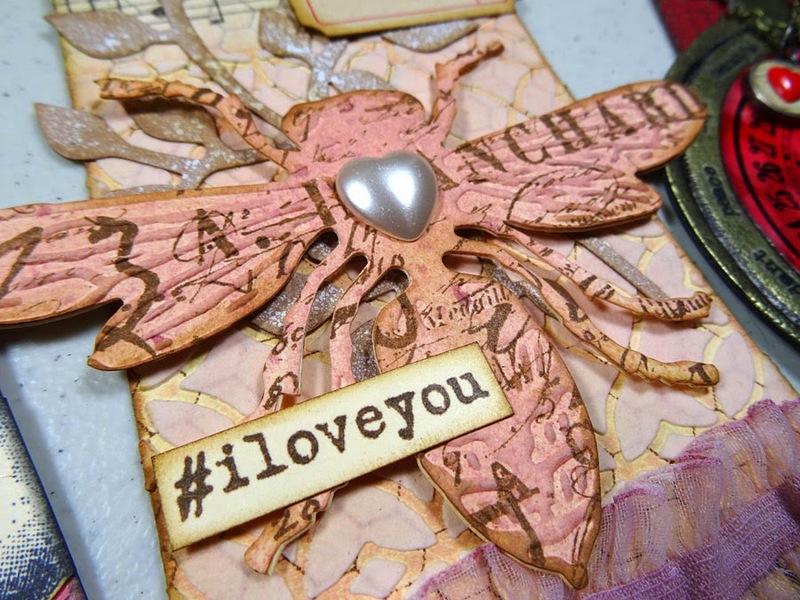 OH my goodness Annette these tags are stunning! Every single one of them is just gorgeous and I LOVE them so much! I'm so jealous that I cannot be in your classes! I adore these tags! The colors just pop! Thanks for the valentines inspiration. 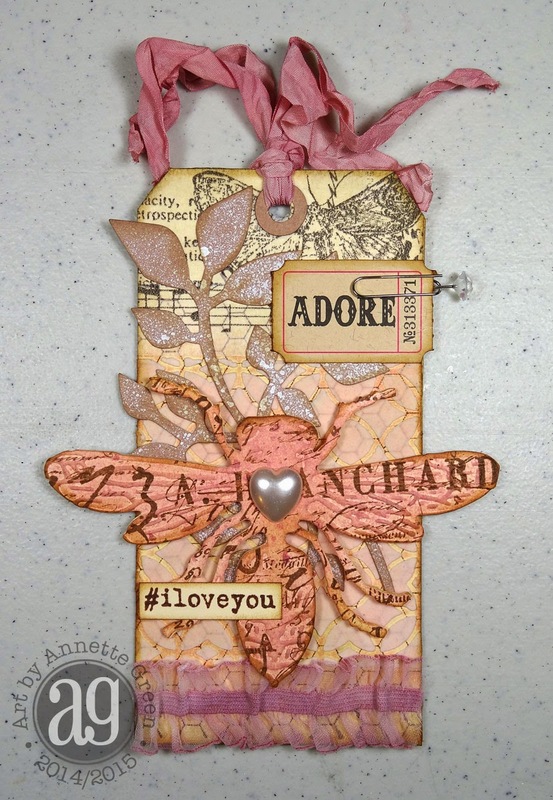 Annette- I love all of your tags- the techniques really shine through w/o taking away from the overall impact of each tag! Many things you've inspired me to try! Beautiful tags, Annette! A huge well deserved congratulations on your Blogworthy! Did you see your mention on Tim's blog? Congrats!! Annette!! Yay for you, girl! 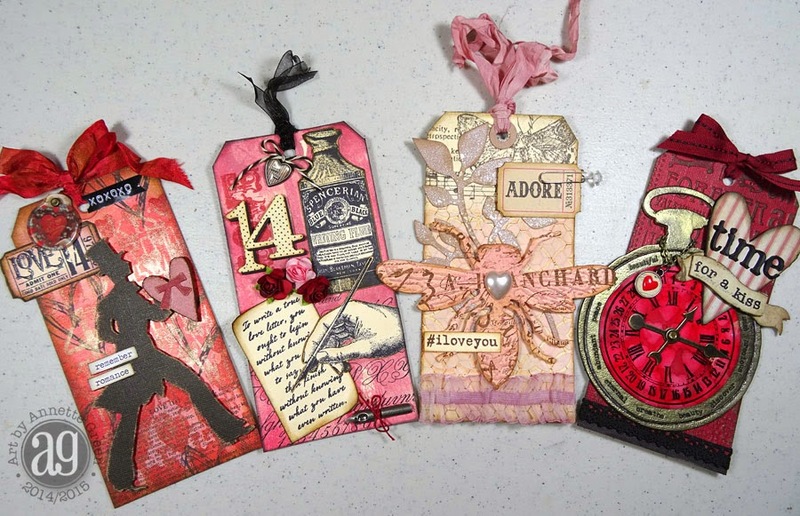 These Valentine tags are fab! Congrats on your being chosen to be among Tim's Blogworthy links. Very well deserved!! And it is huge congratulations from me too - so well deserved for these stunning tags! Well Annette,this is realy well deserved Blogworthy link...Congratulations! How gorgeous! Love the vintage look of your art. 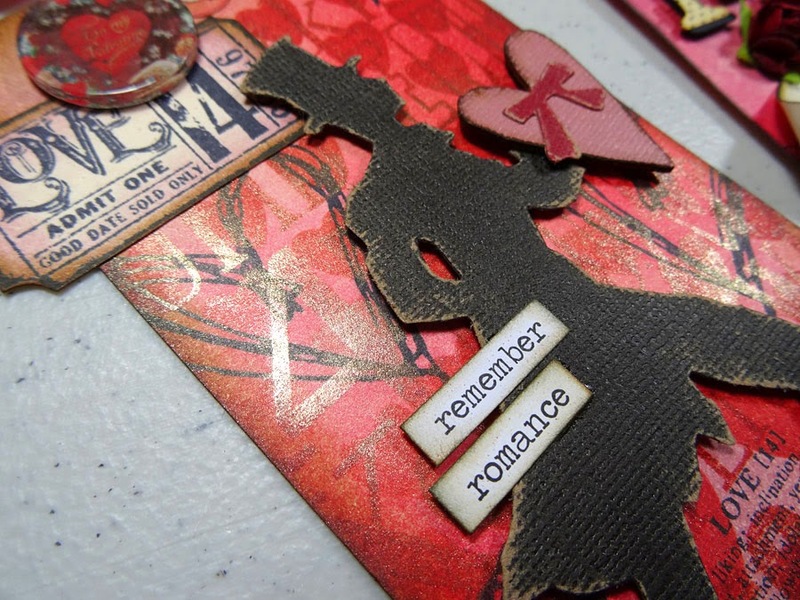 I am in "LOVE" with every one of these "LOVELY" tags....I especially love the depth of color ....AWESOMELY DONE! 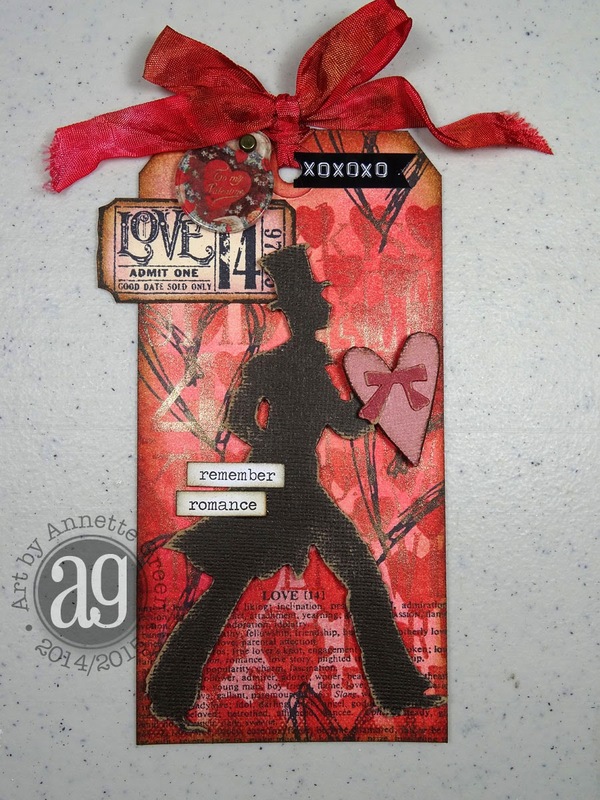 Absolutely gorgeous tags, Annette! The elements are all beautiful! Congratulations on your Blogworthy Links mention from Tim! You deserve it! Love all of these tags Annette! the backgrounds on all of them are gorgeous - congrats on being Blog Worthy over at Tim's! Love the way you turned the wreath carrying guy into a heart totting gentleman! 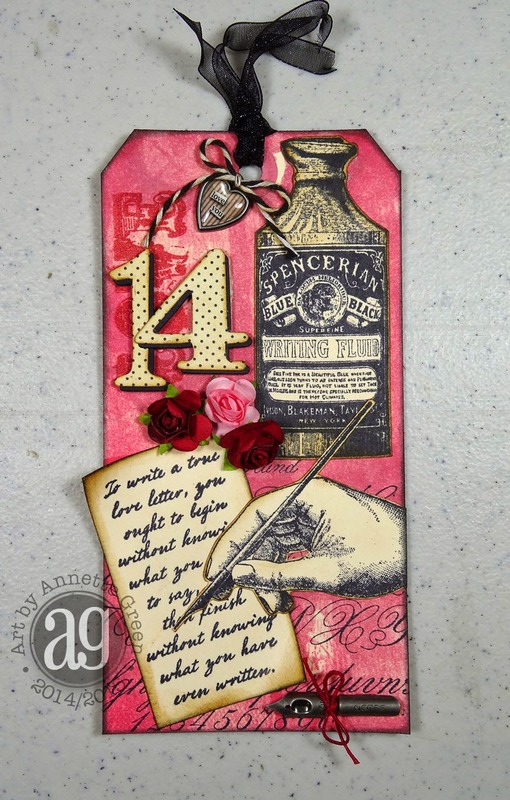 Gorgeous Valentine tags Annette, wonderful detail! Congratulations on your Blogworthy Link! congrats on the well deserved blogworthy link.